When such an industry makes it its business to bad-mouth a natural drug, it isn&apos;t surprising that people, even former marijuana users, begin to believe the propaganda. 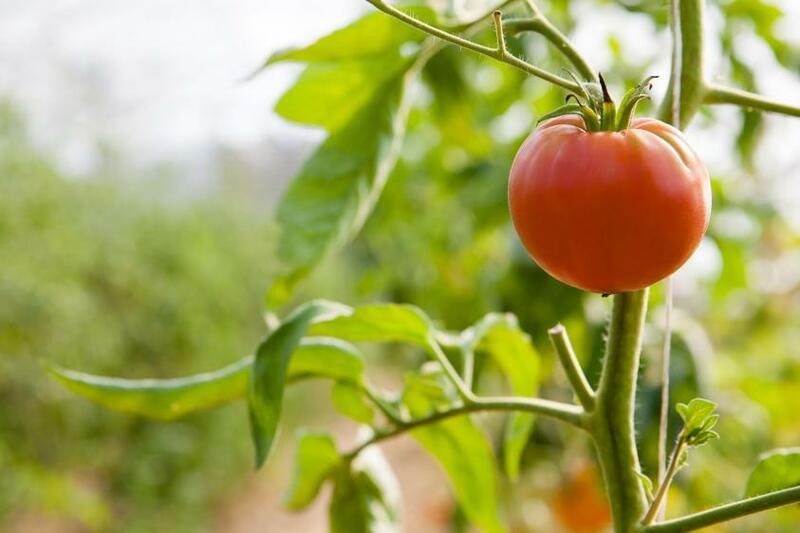 In colonial America, tomatoes were thought to be poisonous and were grown as an ornamental plant called the "love apple." The odor of the leaves made people think it was poisonous. It wasn't until the 1800s that tomatoes made their way into American cookbooks, always with instructions that they be cooked for at least three hours or else they "will not lose their raw taste." Personally, I am not a big fan of tomatoes. But considering that I recently co-authored a political thriller in which the major characters grow medical marijuana (and smoke a little, too), one might assume that I am an experienced user of this other, so-called, "poisonous" plant. I am not. But marijuana's press has been just as misleading as that of the tomato once was. 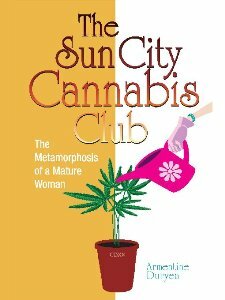 I did a great deal of research to write The Sun City Cannabis Club and it was with the initial belief that pot was an addictive drug with many unfortunate side effects. However, it turns out its only genuine side effect is to provide safer and more effective relief for many illnesses (such as glaucoma, nausea from AIDS and cancer treatments, depression, and MS) than the artificial medications produced by the multi-billion-dollar, multi-national pharmaceutical industry. When such an industry makes it its business to bad-mouth a natural drug, it isn't surprising that people, even former marijuana users, begin to believe the propaganda. Hearst, thinking ahead, had bought up many thousands of acres of forest, to produce wood pulp to make the paper for his newspapers to be printed on. This paper was brittle and yellow, which is where our phrase "yellow journalism" comes from. Yellow journalism is defined as sensationalistic articles with more of an eye to sales than truth—which describes the content of Hearst's papers in general. Much finer papers were produced from the fibers of the hemp plant. Like linen, hemp paper, which had first been made by the Chinese in the first century BCE, was sturdy, durable, and considered classy. Ben Franklin's cannabis paper mill allowed the colonies to operate a free press without having to beg for paper from England. Even though it was labor-intensive to make, its popularity was such that in 1938, Popular Mechanics ran an article entitled "The New Billion Dollar Crop," predicting a bright future for the hemp plant. 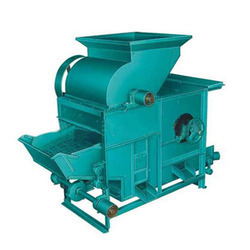 In the same year, Mechanical Engineering Magazine called hemp "The most profitable and desirable crop that can be grown." 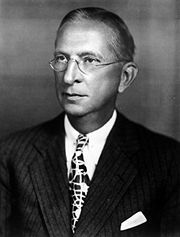 However, shortly after Hearst closed the deal on his forests, George Schlichten's "decorticator," which could strip fiber from any plant, did for hemp what Whitney's gin did for the cotton industry: production labor was reduced by an order of magnitude. And suddenly Hearst was faced with paper-producing forests that were worth but a fraction of what he'd paid for them. However, to a psychopathic personality who owned all the major newspapers in the country, the solution was simple: Demonize hemp and make it illegal to grow. In the process, he'd sell a lot of papers; at the end, his forests would again be profitable treasures. For him, it was a win-win situation. But first Hearst had to deal with the fact that hemp was grown by thousands of American farmers. If he tried to say that hemp was evil, they would laugh at him; too many people had first-hand experience with the plant. Now, it was true that, among hemp's many uses in addition to making paper, it could be smoked, producing a mild euphoria somewhat stronger and longer-lasting than that of nicotine. In fact, many Native Americans had used hemp, rather than tobacco, in their peace pipe rituals, because the hemp intoxication made smokers less confrontational and more inclined to want to get along with each other. And there were few hemp farmers who, as boys, hadn't experimented with smoking the common plant. So Hearst used an obscure Mexican term, marijuana, and began publishing lurid tales of men gone mad after smoking the evil weed. He disallowed the term "hemp" to be used in his newspapers, calling the plant only "marijuana" or by its Latin names, the best-known of which is Cannabis Sativa. Hearst found himself with an unexpected comrade. Lammot Dupont, head of Dupont Chemicals, had discovered ways to create out of petrochemicals—oil—many useful materials, such as nylon, cellophane, and other plastics. However, these materials were inferior in quality to analogs that could be created from hemp oil. The Ford Motor company had announced its intention to use only hemp products for its upholstery, dashboards, and other components. 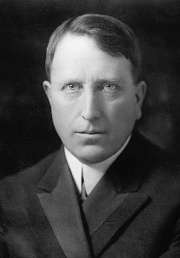 Dupont and Hearst began to work together to lobby the chief counsel of the Treasury Department, Herman Oliphant, for the prohibition of cannabis. Amazingly, the proposal made it to Congress. A doctor made a sworn statement that cannabis had no known ill effects on humans, but his statement wasn't read to Congress. Instead, the lawmakers were told that cannabis did have ill effects. In 1938, the first law prohibiting the growing and use of cannabis was passed. 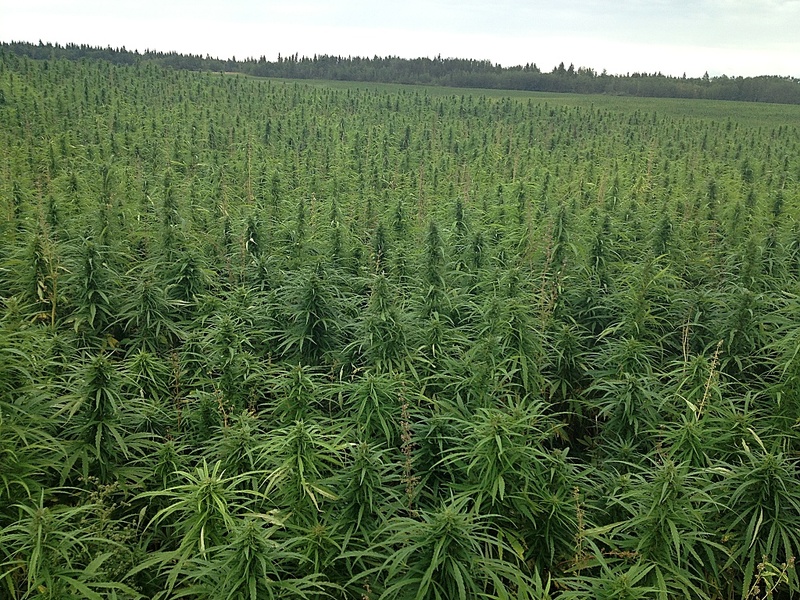 And, except for the brief period of World War II when farmers were allowed (and urged) to plant Hemp For Victory!, the industry that has grown up to prevent the growing of hemp has become nearly as large as the other industries that profit from hemp's prohibition. Because hemp is so maligned and is not legally distributed, unless one grows it oneself it's hard to know what one is buying (or smoking). My own first experience with this substance is an example. In junior college, I had made clear to all my friends that I did not, would not, smoke anything. On the other hand, I didn't have anything against marijuana per se—most of my friends smoked it and I hadn't seen any ill effects. Their grades remained high; they continued to be motivated and were gentle, wise people. So when one of them baked some "Alice B. Toklas" brownies, I had no grounds on which to refuse to eat one. As it turned out, the guy who had baked these didn't really know what he was doing. We figured later that he had dumped so much pot into the brownie mix, it was equivalent of three joints in each brownie—and since ingested marijuana is more potent than smoked marijuana, that made each brownie extremely potent, especially for a virgin experiencer. On top of that, the marijuana wasn't pure; it was laced with something else—something hallucinogenic, far stronger than the pot itself. After eating the brownie, I was still hungry. This was before McDonalds had popped up at every intersection; so I drove to a nearby restaurant to get a hamburger "to go." It took a good twenty minutes for them to cook it, by which time I was starting to get a buzz. The road between the restaurant and the house where we were having the brownie party was a straight line, a distance of maybe two miles. Nevertheless, I got lost three times on the way back. By the time I reached the house, I could barely walk. In fact, I couldn't walk if I thought about it. If I simply decided where I wanted to be, my legs would take me there. Somehow I got into the house and sat; but I couldn't take part in any conversations because by the time a person got to the end of a sentence I'd forgotten how it started. I had never used any kind of drug before, not even tobacco. While I was gone, the others had done the math and only eaten a taste of brownie each, so they weren't as wasted as I. But I was toast. It was agreed I would spend the night with one of the party-goers. There was no way I could drive, so someone who hadn't been as strongly affected volunteered to take me. Along the way, I became sick to my stomach, projectile vomiting out the car window and then, because of the time-dilation effect, staring at the vomit as it hung, suspended for an eternity, in the air. It wasn't until the mid-90s that I had the nerve to try again, even tentatively. Shortly after my divorce, I found myself in Fort Myers, Florida, visiting my old junior college friends who, despite the passage of time, were still having parties. One of the guests, Laverne, was the only other non-married person there. Laverne is a nice person, but that evening she had her claws out for A MAN and she decided to dig them into me. At the time, my "coming out" process was a tentative one. I was very careful who I told I was gay. I had previously "come out" to my pal, but not to his friends—and certainly wasn't ready to come out at this party. We found ourselves in my friend's hot tub—me sitting next to him, this straight guy I had loved, pointlessly, for years; and Laverne on my other side. Someone brought out a joint, lit it, and it began making its way around the tub. When it got to me, I took it gingerly and tried to pass it on. "Not this time," my friend said. "You're in your forties. It's time to try a damned joint." I shook my head. "It won't work," I said. "I have no experience smoking. I'm too nervous I'll burn myself. Or drop the thing into the tub." "We can try shot-gunning," Laverne suggested. "Let me demonstrate," she offered. "Open your mouth." While my jaw hung open, Laverne took a deep toke, them jammed her mouth onto mine and exhaled. It was like receiving mouth-to-mouth resuscitation from a Valkyrie and in addition to the smoke I got a mouthful of tongue. I choked and everyone had a good laugh; but, in fact, I never got a buzz off the thing at all. It was years before some of the people there realized I really am gay, and wasn't just saying so to avoid sleeping with Laverne. In any case, while my experiences with marijuana are probably not typical, and I haven't negated the possibility of some future third attempt, I also have to say that nothing in my personal experience leads me to believe that the legalization of marijuana is, in fact, dangerous to anyone but the profiteers of the prison, pharmaceutical, petrochemical, and paper industries. It's very sad to me, that corporate greed can so completely prevent sick people from getting a medicine they need just because they can grow it themselves. Those of us who know this, need to work to have the laws changed before everyone with any experience of this potent member of nature's pharmacopeia is gone, and all that remains is the lie that, like the tomato, hemp is poisonous.